What Is The Biggest Casino in Equatorial Guinea? - Casino Answers! Casino Answers » Casino Trivia » What Is The Biggest Casino in Equatorial Guinea? What Is The Biggest Casino in Equatorial Guinea? Equatorial Guinea is a country in Central Africa which has a coastline on the Gulf of Guinea, and shares land borders with Cameroon and Gabon. It is among the smallest countries in the world in terms of land mass and also population, with just over 1.6 million people residing in the country. Traditionally, Equatorial Guinea has been a poor country, relying on agricultural exports such as coffee and cocoa into Europe as a means of generating income. However, during the 1990s, huge amount of oil deposits found in the country, which has generated substantial income. Despite this income, the government has not distributed it to the most needy in the population of Equatorial Guinea, even though it has the greatest GDP per capita on the continent of Africa. In short, the rich are incredibly rich in Equatorial Guinea, while the poor are incredibly poor, with a low rate of development and extremely high rates of unemployment amongst the lowest social classes. Given that there is a lot of ‘oil money’ being distributed amongst the upper-classes in Equatorial Guinea, it makes sense that there has been a lot of development in Malabo, the capital city, and Bata, the country’s largest city, especially from international companies looking to capitalize on the newly found riches. The investment has taken the shape of new five-star hotels as well as entertainment ventures such as casinos. The two main casinos in Equatorial Guinea, El Barco Casino in Malabo, and Casino Joker in Bata, are both owned by the same company – Games World International. In fact, Games World International has started to invest heavily in several African countries as well as Equatorial Guinea, including Cameroon and Liberia. The biggest casino in Equatorial Guinea is the El Barco Casino in Malabo, although Casino Joker is still a good size and caters to the locals and visitors of Bata extremely well. El Barco Casino is a themed casino, though it is not over the top with it in a way that many Las Vegas casinos can be. The theme is of a cruise ship, although it is hard to tell from the way the casino floor is kitted out, as it does not immediately scream, ‘Titanic.’ However, it is something different and Games World International have tried to put a twist on casino gaming in Equatorial Guinea, which is to be commended. El Barco Casino offers a varied selection of slot machines, including several linked up to a progressive jackpot which can climb to considerable levels in a short space of time. As well as the slot machines, El Barco has other electronic games, with the main draw being the electronic roulette games. As for table games, there is a small yet generous selection of games spread out over several tables. 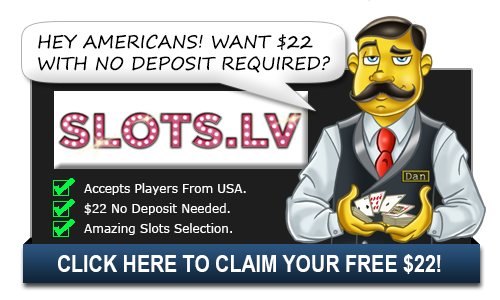 As you would expect, the casino regulars – American roulette and blackjack are there (with Perfect Pairs side bet offered on the blackjack table) – and there is also a few variations on casino poker games – Oasis Poker, Ultimate Texas Hold ‘Em and Treasure Poker. The tables are open 7 days a week, from 7pm until 3am, while the slot machines are open from midday until 3am between Monday and Saturday, and 7pm until 3am every Sunday. As well as a rich and varied gaming experience, the El Barco Casino embraces Equatorial Guinea’s days as a former Spanish colony by having a taste of the country in its on-site restaurant. The El Barco Casino has a tapas bar and restaurant on-site, which claims to take tapas and put a modern twist on the old style of tapas. And if you are looking for a drink to help you unwind while playing at El Barco Casino, there is a bar you can indulge in, and if you are playing at the tables or on the slot machines, the drinks are free. The casino also puts on various promotions throughout the year for guests, putting on promotions for days such as Christmas and New Year, or Valentine’s Day. The only thing missing from El Barco Casino is a hotel so you can rest your head after a wild night on the slots. However, given its proximity to the center of Malabo, there are lots of options regardless of your budget.